Happy New Year, and welcome back. Thanks for subscribing to Axios Science. If you enjoy what you're reading here, please consider telling your friends to sign up for the newsletter. As always, send your feedback to me at alison@axios.com or reply to this email. Axios' Erin Ross with a dispatch from Oregon: Across the United States, bits and pieces of an ancient — but man-made — oak savanna ecosystem are being restored, sometimes at the expense of more common natural landscapes.Why it matters: Oak savanna are among the most diverse ecosystems in the U.S. and support species that aren't seen anywhere else. 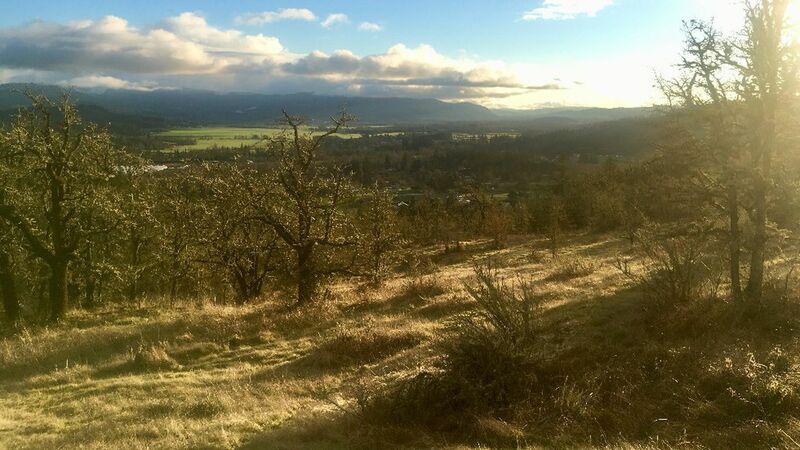 In the 1800s, 1.5 million acres of the Willamette Valley were oak savanna. Today, just 1%–2% of that remains, echoing a decline in oak grasslands across the country.Read the rest of Erin's story here. Huge find: Scientists have discovered there are more massive stars in a nearby galaxy than previously thought. It could change our current understanding of the evolution of the galaxies. Good news: After being hit with a disease that is still poorly understood, sea star populations in southern California may be bouncing back, Erin writes. Drilling: A draft plan released by the Interior Department today would open the Atlantic and Pacific coasts up to offshore drilling again, Ben Geman reports. North Korea is being "decimated by infection and malnutrition. Without intervention, its public health crisis will only exacerbate the economic strains of international sanctions and lead to more widespread suffering," Baylor College of Medicine's Peter Hotez writes on Axios. ICYMI: Read our recap of 2017's top science stories. Bonus: Astrophysicist Paul Sutter writes about the probes that will head to Mars, Mercury and asteroids this year. Safety on sea ice: Researchers are placing sensors on ice in the Arctic to "provide local communities with real-time measurements of sea ice thickness, revealing routes that are safe, and others which are not," per The Guardian's Ian Sample. Shockwave: 50 years after the publication of Paul Ehrlich's famous book The Population Bomb, the Smithsonian's Charles C. Mann looks at the book's legacy and talks with Ehrlich about the fallout. Primed: Another story from Sample, who describes how the largest prime number has been discovered. "[T]he figure is arrived at by calculating two to the power of 77,232,917 and subtracting one, leaving a gargantuan string of 23,249,425 digits." RIP: NYT's Adeel Hassan writes an obit for prominent sustainable development advocate Calestous Juma. Erin writes: Every winter, 30,000 gray whales make their way from their feeding grounds in Alaska to their breeding grounds off Baja, California. It's a journey of 10,000 thousand miles, the longest known migration in any mammal. The whales do not stop and do not eat. This year, despite massive storms that made spotting the behemoths all but impossible, the Whale Watching Center in the tiny town Depoe Bay had more visitors than ever before. Why it matters: Visitors' keen eyes help whale watching staff count and monitor the population. Gray whales used to travel the oceans of the world, but the Atlantic population was hunted to extinction in the 1800s, and just over a hundred are left in the Western Pacific. The population that migrates off of North America is the largest remaining, and was removed from the endangered species list in 1994. At least a hundred people milled about center's two-story observation room on one day between Christmas and New Year's. It's arguably the best time of year to see whales: as many as 30 pass each hour. On the horizon, a whale breathed. It was four miles out, the 15-foot tall spout almost invisible against the sky. But the waiting crowd, 30-strong and pressed against the centers' window, gasped and cheered. They traveled hours to see this, a breath from a whale's refrigerator-sized lungs, a tiny smudge that hovers over the water and vanishes.